To take advantage of the exclusive partner discounts below email us at support@pointblankmusicschool.com or get in touch via the Contact Form. 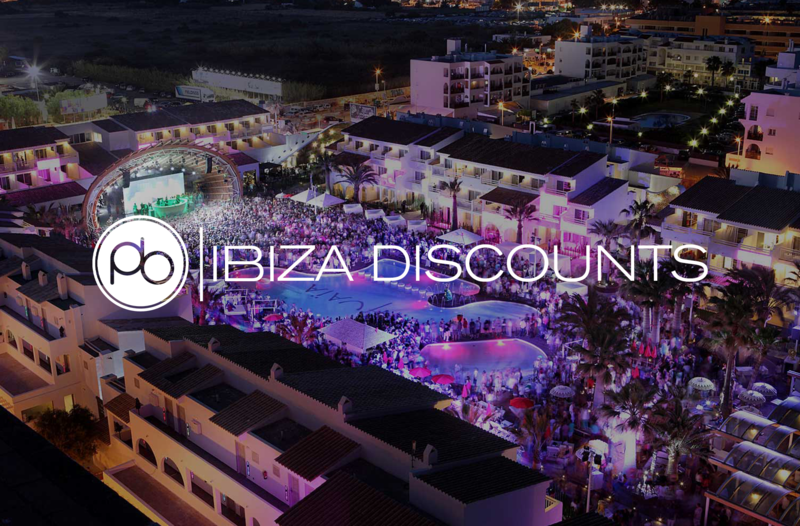 All Ibiza students have access to exclusive discounts for parties at the best clubs on the island via our partner Ibiza Good Vibrations. Just head to the website and include the promotional code you’ll receive while on the course. When you enrol on any Ibiza course you’ll receive a free copy of the latest version of Ableton Live Suite worth £520/$750. Any Ibiza student can buy Komplete 12 and Komplete 12 Ultimate for a massive discount of 50%. That’s a whopping saving, and gives you everything you need to start making great music. Please note that discounts are not available on upgrades. We’re pleased to say that, as part of a partnership with online music retailers DV247, Point Blank Ibiza students can get up to 50% off selected products. For more details, contact jim@DV247.com with the particular product(s) you’re interested in. All Point Blank students are able to get a 50% discount on Mixed in Key software and Captain Plugins (VST/AU). Mixed In Key has enabled DJs to use the concept of harmonic mixing, gaining worldwide acclaim and testimonials from David Guetta, Diplo, Kaskade, Pete Tong and many more. Captain Plugins is an award-winning suite of VST plugins for chord composition, melody and bassline writing. Contact our student support team with your study credentials for access to a discount code. The iZotope product line focuses on Music Production, with solutions for mixing, mastering, and creative effects, and Audio Post Production, with tools that enhance audio for film, broadcast, video, and new media. Point Blank students are able to save 50% on iZotope software via this link. There is additionally a free version of mastering software Ozone, which can be downloaded here. Accusonus builds next generation audio repair and music creation software. Point Blank students are entitled to an exclusive 40% discount on Accusonus software. Simply send a list of the products you’d like together with a proof that you are a student or a teacher (e.g. scanned student id, enrolment letter, etc) to support@accusonus.com. Our friends over at Eventide have given students at Point Blank the opportunity to take advantage of a massive 70% off all Eventide plugins, including the excellent Ultratap Delay and Black Hold Reverb, as well as their entire plugin bundle. Our good friends at Novation and Focusrite have offered up a great discount for our Ibiza students. Their range of products includes the excellent Dicer DJ controller, the Launchpad controller and much, much more. 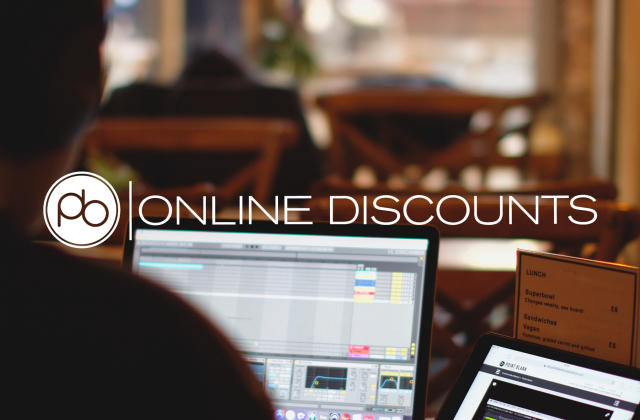 Once you’re signed up for a course, just head here to fill in your details you can get 10% off all current prices on selected Novation and Focusrite products. Any fans of headphones and products for transporting DJ equipment will be excited by this exclusive discount from AIAIAI and UDG via their UK distributor, Dynamic Distribution. AIAIAI’s headphones are used here at the college and UDG’s gear is universal, used by DJs all over the world! The offer is for a massive 20% off selected items, so make sure you drop us a line to find out more. All Point Blank students are entitled to 25% off all bundles and upgrades and 35% off selected bundles. Just email Waves stating that you’re a Point Blank student to claim your discount. This carefully curated sound pack incorporates cutting edge elements from the most up to the minute sounds in underground music, which you will be able to use throughout your studies. 500 free Loopcloud shop points are included with registration. Loopmasters are also offering an incredible discount of 20% on the first purchase of any Loopmasters product for Point Blank students. We have also teamed up with Loopmasters sister site Plugin Boutique to offer students 30% on Fxpansion plugins: DCAM Dynamics, DCAM Synth Squad and Maul. Buy all three together and get a whopping 50% off! Also, 50% off Sonnox, D16 Group, 40% off Izotope and 20% off Arturia. Get 20% off all of their products. Desperately in need of a new microphone but worried about the price? Well don’t fear! Our friends and official education partner Sontronics are offering all Point Blank students a mighty 40% off the RRP on their microphones, so be sure to get in touch to pick up your bargain. Output are the creator of some ground breaking plugins and instrument libraries including REV, Signal and EXHALE, opening up a world of sound design which has consistently been hailed as “inspiring” and “creative” for producers, composers and musicians. Head here for details of accessing a 30% discount. To celebrate its partnership with Point Blank, Sonic Faction is offering a whopping 40% off its Archetype Kontakt Bundle for all students and alumni. Contact us with your course details to access the code. Archetype Kontakt Bundle is the essential collection for Kontakt, featuring 8 legendary instruments redesigned with a modern twist. Archetype features vibrant analog synths and drums, reactive animations, and over 800 presets. It includes Komplete Kontrol and Maschine integration as well! Learn more about Archetype here.